Going Green: How can we keep our environment clean & green? 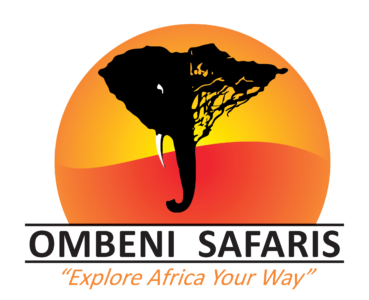 We at Ombeni African Safari provide all the nature-friendly environment for tourism. "At Ombeni Safari we are eliminating printing:" We at Ombeni Safari believe in accepting the modernization with maintaining the tradition. We are advanced but also consider in green. And combining technology with nature, we discover a new way of advertisement. We are eliminating the print media advertisement such as banners, posters, and holdings. Instead of them, we are using the demographic advertisement for our Itineraries description. We are operating at four different No plastic on Safari: Usually, we start our journey of safari drives after your meal has been served. But also the fun of tourism comes with meals. We at Ombeni Safaris believe in no plastic on Safaris, therefore, we offer ceramic based containers and paper-bags for the snacks on safari drives for the tourists who like to eat snacks while watching the astonishing wildlife views. Our tour guides also advise you to respect the home of wild things and describe its beneficial points for green world. We eliminate plastics and Recycle 100%: With the use of ceramic containers and paper bags, we eliminate plastics and the trashed paper bags are then recycled for the unlimited future use. Our specially designed 4x4 land cruisers are entirely Eco-friendly and provide less or no effect to the environment. Also, We change our Land Cruisers often as we bring new models to offer clean and efficient safari drives in regards with the comfort of the tourists and healthy environment. We eliminate long driving and offer fresh safari drives after some regular interval of time, which helps in eliminating your exhaustion through are luxurious lodges and grand pools. Also, it provides a suitable time for the nature to forget to the interference of tourism and helps to protect our land and animal. Bid high on this safari adventure, valued at twenty four hundred dollars.